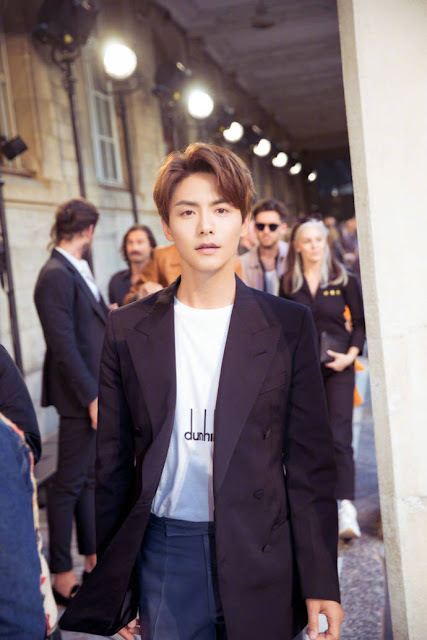 Paris Fashion Week kicked off from June 20 until June 24 for Men's Wear Week and a number of Chinese actors attended the sough-after event. Coincidentally, Addiction stars Johnny Huang and Timmy Xu were both in Paris though for different events. Johnny Huang is somebody who should be walking down for Dior instead of watching it from the sideline. He definitely has the look, the height and the form of a runway model. There's not even a stray hair in sight! I especially loved how he paired his dark blue suit with a clean white/gray kicks for a more casual look. 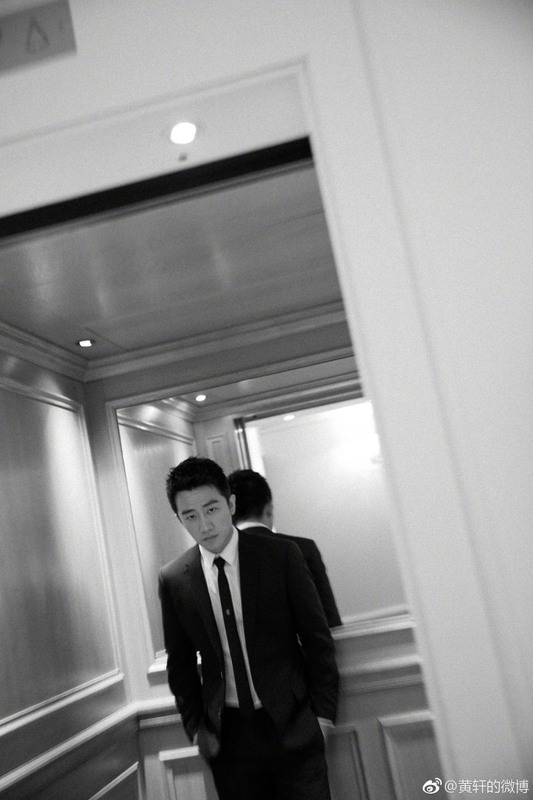 Huang Xuan is also there to support Dior and he does look dapper in his classic black suit with skinny tie. I love the subtle tie clip which seems to be from Mont Blanc. 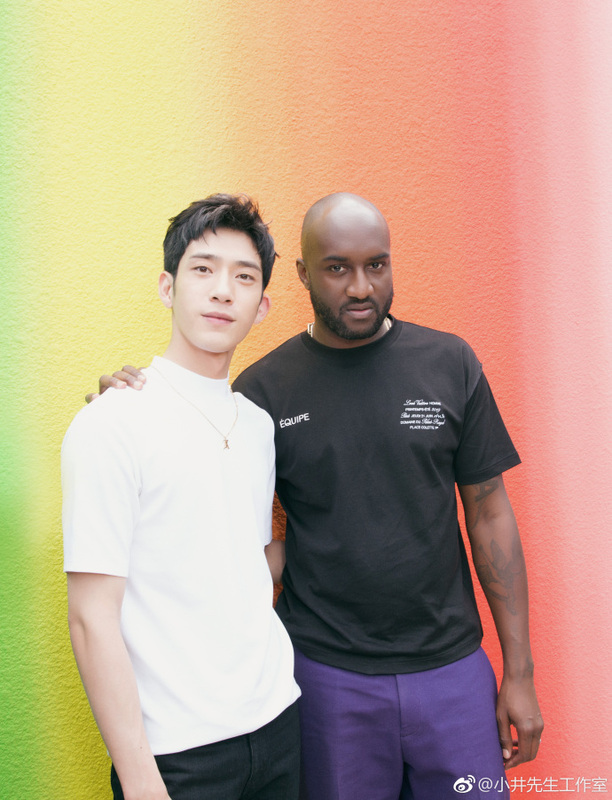 Jing Boran graced Paris Fashion Week for Louis Vuitton and he posed with the new Men's Art Director, Virgil Abloh. 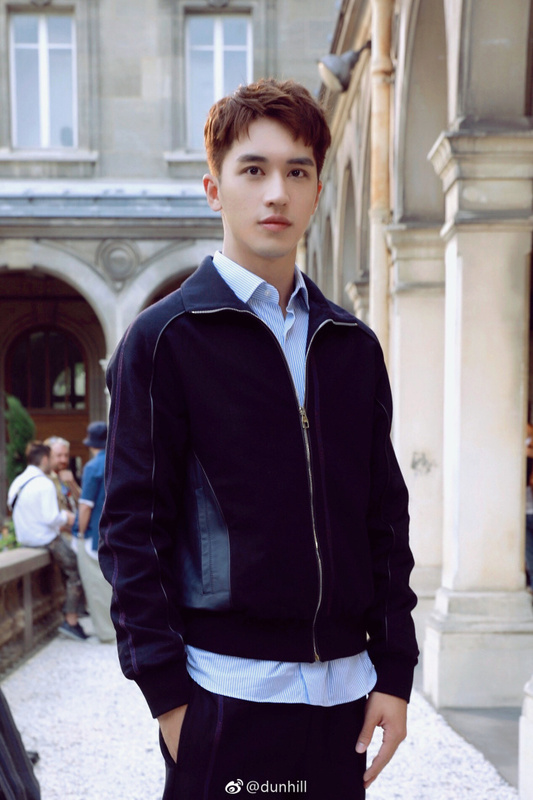 I think Jing Boran's outfit isn't flattering on him. I also didn't like the sunglasses he wore because I feel it doesn't frame his face well. And the gold necklace feels a bit too much. To be honest, he's coming off like a pimp daddy. Sorry Mr Jing! 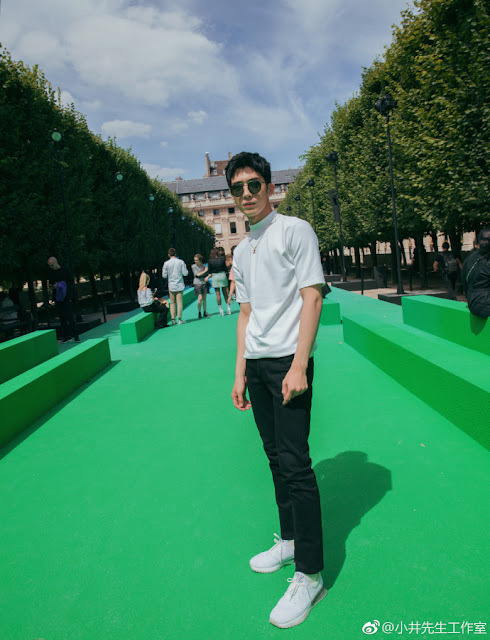 Liu Haoran is also in attendance for Louis Vuitton and like Jing Boran, he also takes a photo with Virgil Abloh. This is Virgil's first Fashion Week show. Liu Horan could have been channeling Virgil Abloh's OFF-WHITE collection this season with his comfortable t-shirt and pants look. It was noted that the collection features some elements of workwear and graphic tees with distressed denim. 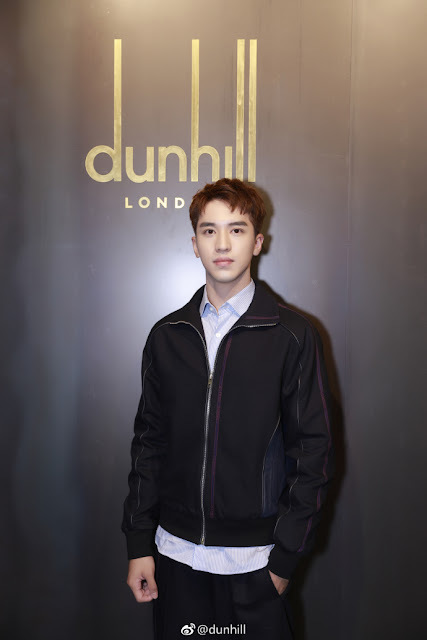 Timmy Xu Weizhou attends Paris Fashion Week for Dunhill. 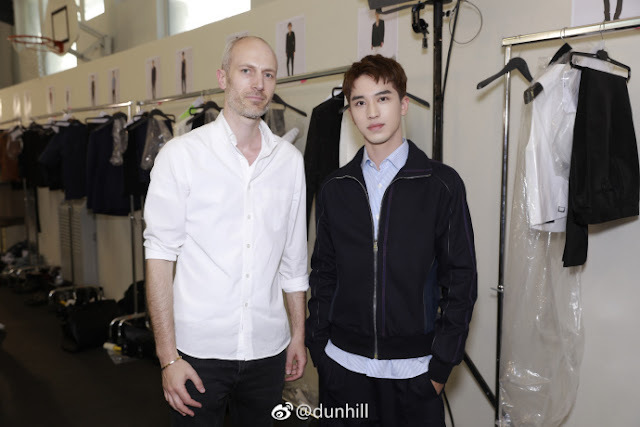 During the event, Timmy met Dunhill's creative director, Mark Weston. I like his look. It's neat and dressed up but the casual jacket gives it a little laid back vibe so that he's not sacrificing fashion for comfort. 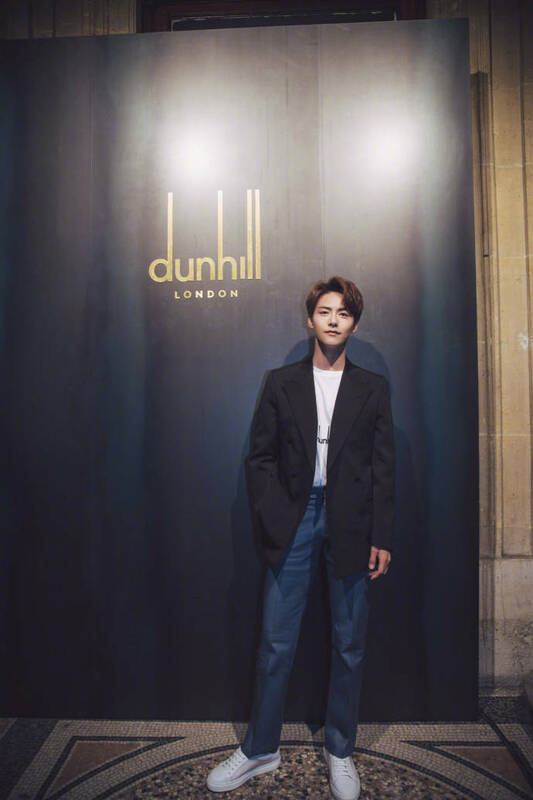 Ma Tianyu also attended Paris Fashion Week for Dunhill. I think he should have dropped the jacket altogether or choose one that's more fit than loose. This jacket seems to big for his slim frame don't you think? Thanks for the pics and the commentary. 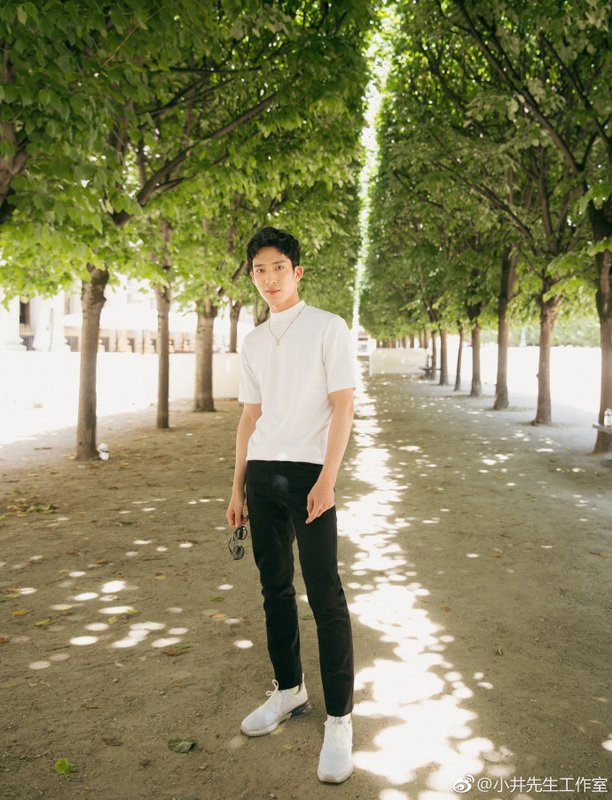 LMAO at your comments about "pimp daddy" Jing Boran. Overall they all look pretty good compared to the ugly designer crap you sometimes see male celebs wear for Fashion Week. 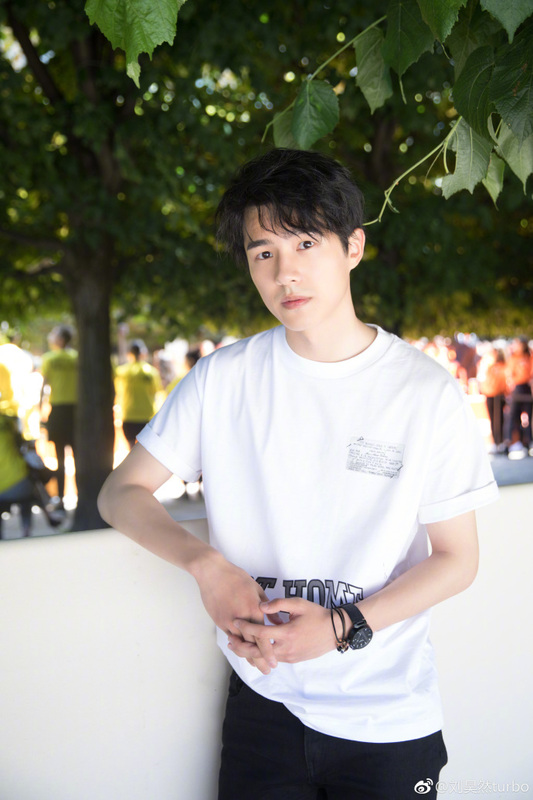 I've never seen Ma Tianyu, before. He is gorgeous.. He actually looks a little Korean to me.